After arriving one day earlier and setting up operations, the engines of the B.E. 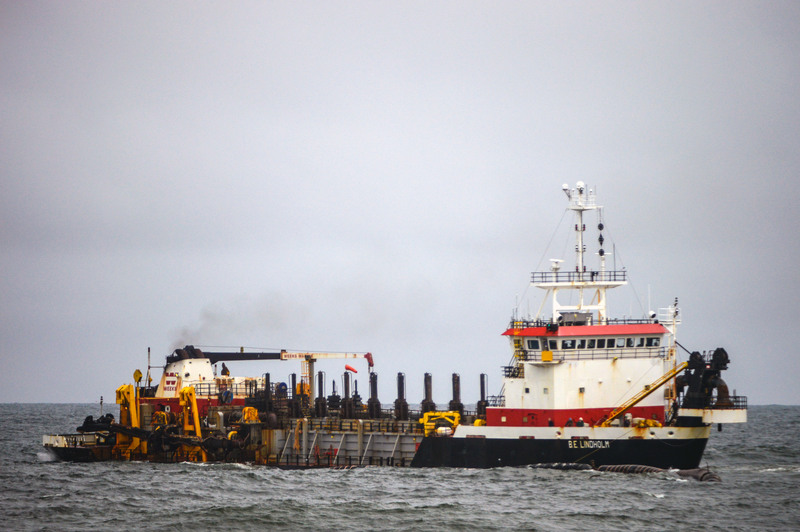 Linholm, a 3,498-ton dredger, roared to life at about 5 p.m. Monday and began pumping the first full load of sand to Ortley Beach through a network of pipelines that run from a connection site in the ocean to the shore near the former Surf Club site. It took six days for the 297-foot hopper dredge to arrive from Tampa, where it was receiving maintenance repairs after its last assignment in Florida. 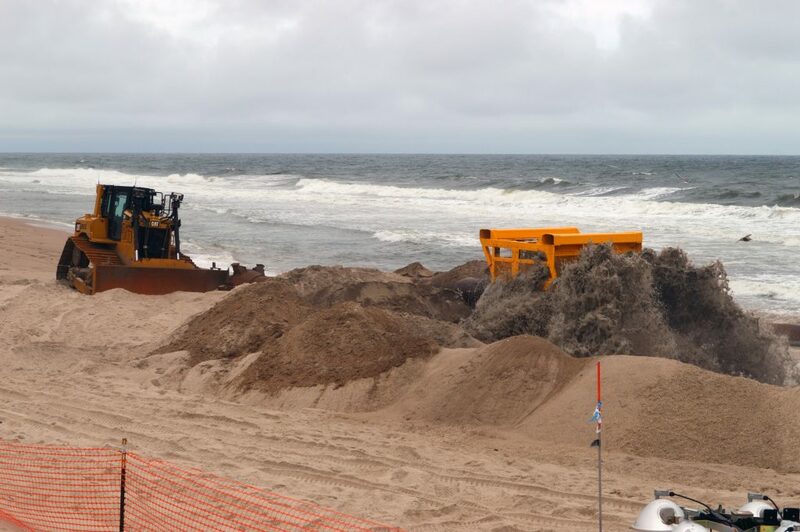 Over the next two weeks, Ortley Beach will receive approximately 267,000 cubic yards of sand, creating an approximately 225-foot-wide beach over the course of two weeks next month. Weeks Marine, the government’s contractor, will work in 1,000-foot-wide sections of beaches at a time to minimize impacts to residents and visitors, according to the U.S. Army Corps of Engineers, which is leading the project.